It’s no secret that energy-efficient solutions such as solar power system installation are becoming a norm. Clean Energy Regulator proves it true with its 2018 data: the number of small-scale solar power systems installed in Australia is nearly 1.8 million. Likewise, Aussie owners wanting to benefit from environmental aspects and acquire health advantages invest in greenhouses. This environment-friendly structure houses plants, flowers and herbs to keep them healthy and grow at a regulated temperature. Structural Design. Planning involves identifying your objective. Be mindful of the size of your property. Will it be attached or freestanding? Familiarising yourself with the pros and cons of each type allows you to make careful selections. Will it be pre-designed or custom-built? Knowing this beforehand helps you choose the right materials. Recycled Materials. Buying products for your roof ventilators, side walls, eaves and footings can be costly. If you want to be thrifty, using old bottles and chapped windows is economical. Some owners prefer to build their own out of reusable, plastic materials to save money for other priorities. Good Insulation. Potted plants won’t survive in uncontrolled temperatures. Extreme heat and cold are fatal. The amount of heat and cold entering the roots and the soil needs proper regulation and constant monitoring. Bubble wraps can be efficient especially during winter. Think about this one important aspect before you finalise the project specifics. Glazed Windows. Energy-efficient windows are both beneficial to plants and humans. The amount of sunlight that permeates through the glass is sufficient for plants to obtain certain nutrients which expand their lifespan. Not only do they minimise your energy bills, but it can also provide enough shelter and thermal comfort to plants and flowers. Greener Refuge. Who said this shelter could only benefit the garden and potted plants? 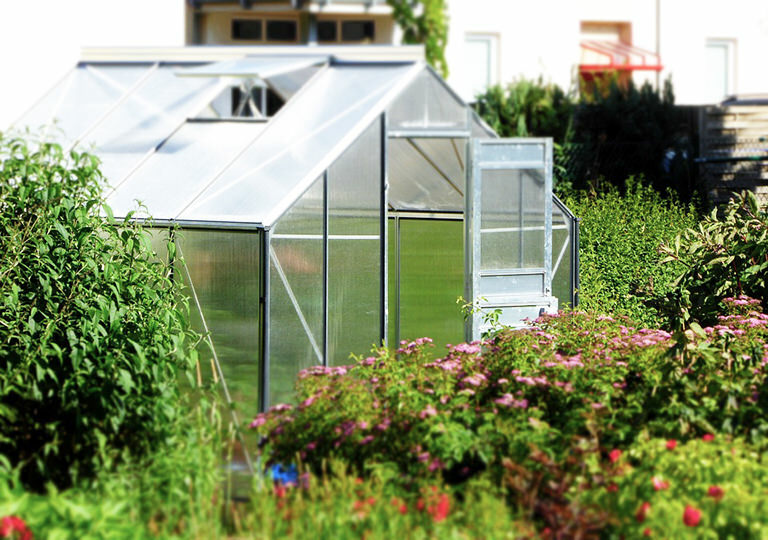 Greenhouses are also built for families. If you are thinking of a better way to cut your monthly cost and move in to a healthier dimension, you can choose to build a structure where you can stay comfortably especially during the hotter months. Placing your sofa, table and other furniture in it is doable, depending on how wide it would be. Your plants can thrive even without a protective covering. However, in places where climate conditions vary, building a structure tailored to your garden needs is a good investment. Green home builders provide their clients with a variety of options among the standard designs available to match their requirements. Some contractors also give you the advantage of sharing your ideas to customise the overall design. Coming up with a sophisticated layout that suits your lifestyle, location’s climate and budget is essential to make it last. The initial process involves dealing with a landscape architect, designer and contractor to discuss the necessary details and develop a concrete plan for the project. If you have the vision and means to add useful fixtures such as rainwater systems and solar panels to reduce water consumption and energy usage, consulting a professional plumber and technician is a huge help. Make sure to check it with your local council to gain approval. If going green costs someone nothing, nobody would dare to invest. But it does, and the reward is a lasting fulfilment. Not only can it be used for plants and shrubs, but it can also be beneficial for people longing for a greener, more breathable place.